From his early days busking in the streets of Australia to currently headlining shows around the globe, roots legend John Butler has not only evolved as a guitar player, singer and songwriter, but also as a human being. Whether backed by his stellar band The John Butler Trio or solo, his music is uplifting and powerful, and his grasp of a variety of stringed instruments is deep and well seasoned. With selections ranging from trippy reggae-tinged sing-alongs to lovely harmony-laden ballads and straight out rock tunes, his repertoire is not only varied but enthralling. It is no surprise that he is arguably Australia's most successful independent artist. He has a full tour schedule released for the first part of the year, with a number of concerts in Australia prior to gracing the stage here later this month. "I found that with almost everybody I've spoken to that 2017 was really kind of an intense year, for everybody in different ways. But for me,  just has a lot of flow to it, and it just feels like a lot of the horrors and a lot of the weeding and the messy necessary work that we needed to get done in 2017, I'm now seeing that it is bearing fruit." He did a lot of pre-production, including a lot of the beats by himself, saying that it is "a journey within and without". "I had a real vision for this album and I just had to create this environment to get them out in a really intimate and insular way and then add the trio on top of it. "I was really technically open on this album and having too many people in the studio really kind of bugged me out and I felt too many other people's energy so I ended up having to send my band home most of the time and just working with this engineer/producer and create most of the beds and most of the words that I was hearing in my head before I asked anyone else their opinion. Sometimes you can have too many cooks in the kitchen even if they are all amazing cooks." He is a true muso at heart, planning his whole life on tour and living for those two hours on stage. "Everything points to flipping a switch at 9 o'clock, which sounds ridiculous but I focus all that energy and attention. I get on the stage and I have a great time and it is like a massive drug and I want the next hit. And then I do everything I can to make sure I get just as good a hit as the last time." When asked what song means the most to him, he said he didn't have one, adding that "they are all my children, it is like picking your favourite kid - and that is a little bit evil". But in all seriousness, with countless albums to date, it is not an easy decision. After a few moments of silence, John responded with Ocean - a song that was first recorded as part of his first album/cassette, Searching for Heritage and then for his first self-titled studio album John Butler released in 1998. "If I thought there was one that was a bit quintessentially me in a way from I guess a foundational sense and popularity and very much just me I think Ocean. It says nothing about my songwriting because it is an instrumental but it is kind of where I came from and it conveys all things I can't put into words. Life, loss, love, spirit." And it is no surprise, having been watched more than 25 million times in various formats. Butler married fellow musician Danielle Caruana in 1999. She is known by her stage name Mama Kin. 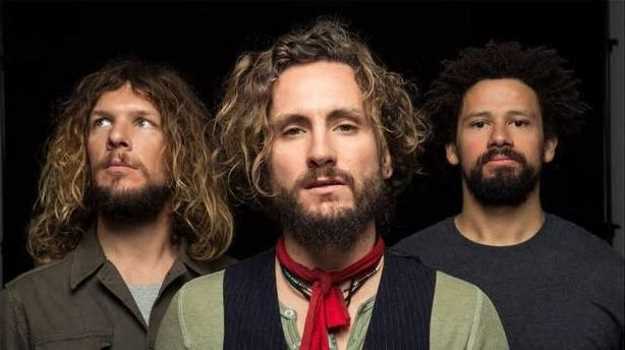 Despite having fronted the John Butler band since they formed in Fremantle, Western Australia in 1998, the singer believes he is living the highlight of his career now. "The highlight, to tell you the honest truth and this sounds like a cliche, but it is kind of happening now. My children are 15 and 11, my wife and I are both releasing albums this year and we all travel together and do home schooling and make music and work really hard to kind of live our dreams." He acknowledges that although great things happened in the past, he wasn't always in the best space, noting that he was "pretty angry, I found it pretty hard, I was scared - those things still come up but I feel like I am more present than ever to really enjoy what is happening now". Their two children, daughter Banjo and son Jahli, are both musically inclined. "My girl loves writing songs and playing piano and my boy loves just singing constantly around the house to 21 pilots, Eminem and whoever else he is listening to." However, he isn't bothered if they don't decide to follow the family tradition, wanting them to instead find "a friend in something outside of another person" where they have an "avenue to express the deep and mysterious wonders of themselves" - something which he has undoubtedly found in music. "For me music has always been this really intimate friend that I could tell anything to. I could be a two-day drive out in the bush, with a guitar and I could be having this really beautiful relationship that is really intimate with my muse and my music. It is part of my spirituality," Butler said. It is not the first time Butler has performed in New Zealand, having wowed audiences at the Rhythm and Vines festival in 2009, Winery Tour in 2011 and a sold-out Powerstation show in 2014. Despite being just across the ditch, the musician has a special affinity to New Zealand. "This is just an amazing country. I know you probably hear it from everybody but it is quite a special country, I hope you guys know that." He is particularly taken with the Treaty of Waitangi and the Maori culture which is prevalent. "There is an integration that I haven't seen in my own country and that I really wish for my own country, so I am always really struck by it when I go to your country. I am not saying it is perfect, I am sure there are a lot of issues of colonisation that still take place but I really love coming to New Zealand. I am really struck by it, I am really inspired by it and I love it." Although, he has never made his way to this part of the country, he is looking forward to exploring a new neck of the woods. He will be in Hawke's Bay at the end of the month, frontlining the John Butler Trio, with Bryon Luiters who has been on bass since 2009 and Grant Gerathy who has been on drums since 2013. The band began with Gavin Shoesmith as bass (1998–2001) and Jason McGann on drums and percussion (1998–2003). "I play with two rebels so it is always very interesting. There are really two awesome strong men in the trio and they are far more talented musically than I will ever be and they help bring my songs to life amazingly." Two extra payers will be added to the line-up in a "JBT plus", with five new songs, a mix of old ones as well as both solo and trio songs. "I think it is a good spread of everything that I am and my band as well - in the expansive version." Last week was the first time they started rehearsing at his studio in Fremantle for up to eight hours a day. "I've played in the trio for 20 years and it is nice to have two extra players and you know obviously you have drums plus two extra kinds of drum skins being played as well so it is pretty heavy rhythm and a lot of fun. "I have a studio in Fremantle, Western Australia, so we bring everybody over and we have been in the compound just rehearsing eight hours a day." In a rather random change of direction, Butler, while giggling, added that New Zealand was the only place in the world he knows of that has a 24 hour hip-hop channel on TV. "It is the best country in the world; they have free hip-hop videos 24 hours a day - who does that? I'm not sure of that still exists but I was so stoked." "I'm just really looking forward to getting out on the road, playing these new songs, new band and these old songs and getting to go to a beautiful neck of the woods and doing what we do. The New Zealand crowd is amazing." The John Butler Trio and Special Guests will perform at Church Road Winery, Napier, on March 30.